Ben Hyde, winner of the Worcestershire Apprentice of the Year 2017, is encouraging local apprentices to enter this year’s awards. Ben’s achievement at the 2017 Worcestershire Apprenticeship Awards has helped him to spread the valuable message of apprenticeships and the success that they can bring to fellow young people around the county. Ben is now encouraging others to enter the awards before nominations close on Friday 6 July. Tables are on sale as well as sponsorship opportunities for the awards which will take place on 15 November 2018 at West Midland Safari Park. 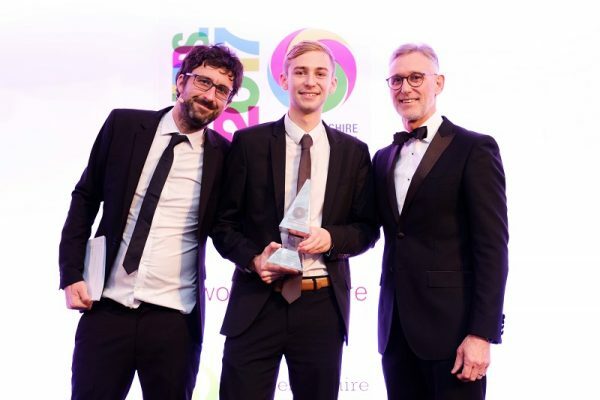 Last year, the Worcestershire Apprenticeship Awards attracted a record audience of 360 attendees and were hosted by Comedian and Radio 4 Star, Mark Watson. Hosts from previous Worcestershire Apprenticeship Awards include Nick Hewer, Steph McGovern and Tim Campbell MBE. Once again, the two overall awards are being sponsored by Worcester Bosch for Worcestershire Apprenticeship Employer of the Year and Yamazaki Mazak UK Ltd for Worcestershire Apprentice of the Year.